Secretary of State Hillary Rodham Clinton marked the 30th anniversary of HIV/AIDS, releasing the following statement: "As we commemorate the 30th Anniversary of the first reported cases of HIV/AIDS in the United States, we take time to remember those who have been affected by this devastating disease and recommit ourselves to eradicating this terrible scourge. "When HIV/AIDS was first identified in the 1980s, the world was shocked by how fast the epidemic spread as we struggled to find a solution. With the remarkable work of researchers over the past decades, we have made incredible gains in the prevention and treatment of HIV. The United States and the international community stood up and took on this terrible scourge. Thanks to these efforts, millions of lives have been saved and millions more have been transformed. "The U.S. President's Emergency Plan for AIDS Relief (PEPFAR) and President Obama's Global Health Initiative (GHI) underscore America's commitment to this partnership to strengthen health systems and save lives. Currently, PEPFAR supports treatment for over 3.2 million people -- the vast majority of whom live in Africa. In 2010, PEPFAR directly supported access to testing and counseling services for 33 million people with HIV. In addition, US-supported programs reached over 8 million pregnant women and provided 600,000 mothers with drugs to prevent mother-to-child transmission of HIV, leading to more than 114,000 infants to be born HIV-free. Numbers do not tell the whole story of PEPFAR and our progress, but they are a reminder of the children, women and men whose lives are being saved every day. 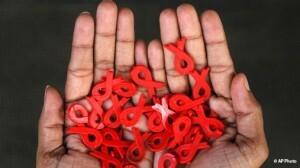 "PEPFAR is a key element of our foreign policy. The President had made this clear and our Administration's commitment has been unwavering. We have also made an unprecedented multi-year pledge to the Global Fund to Fight AIDS, Tuberculosis and Malaria. We are proud of our leadership in the fight against global AIDS, but we cannot do it alone. We are urging donor nations to increase their commitments, particularly through the Global Fund. And we are working with severely affected countries to find more ways for the international community to support country led efforts. "We must continue to fight for those who have been impacted by this epidemic. Too many people are getting sick and dying every day and this is simply unacceptable. We must redouble our efforts on behalf of the millions of people with HIV/AIDS, their loved ones, their families and their friends."